One of the past summer weddings I photographed took place in central Connecticut. Nicoletta and Vincenzo said, “Yes, I Do” to each other at the church and the 1956 historical Limo Rolls Royce took them to the Aria wedding venue in Prospect, CT where the cocktail hours and reception took place. Delicious Hors d’oeuvre and lots of Italian wine was served. After the introduction, the newly weds danced for the first time as husband and wife, and the maid of honor and the best man gave the toasts and the festivity began. 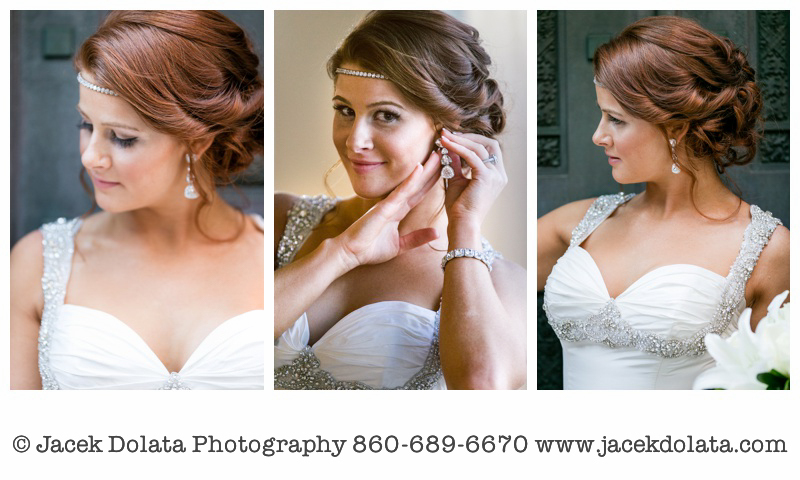 Jacek Dolata provides Documentary Wedding Photography in Connecticut and often photographs weddings at Aria Wedding banquets. 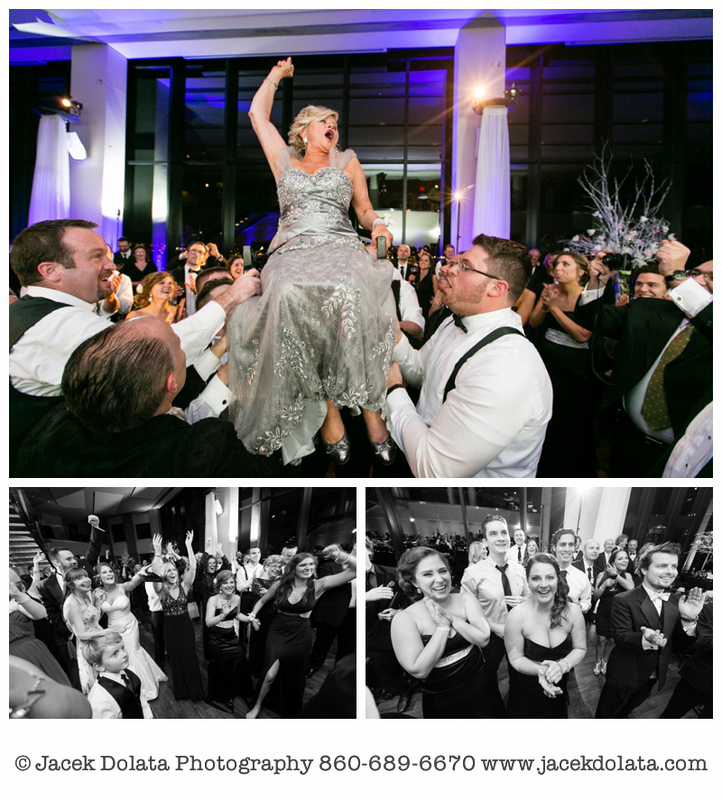 Being a wedding photographer keeps me busy on weekends and during most US Holidays. I photographed during Memorial Day, Independence Day, Labor Day, and Christmas but somehow the cool Halloween eluded me until last year. 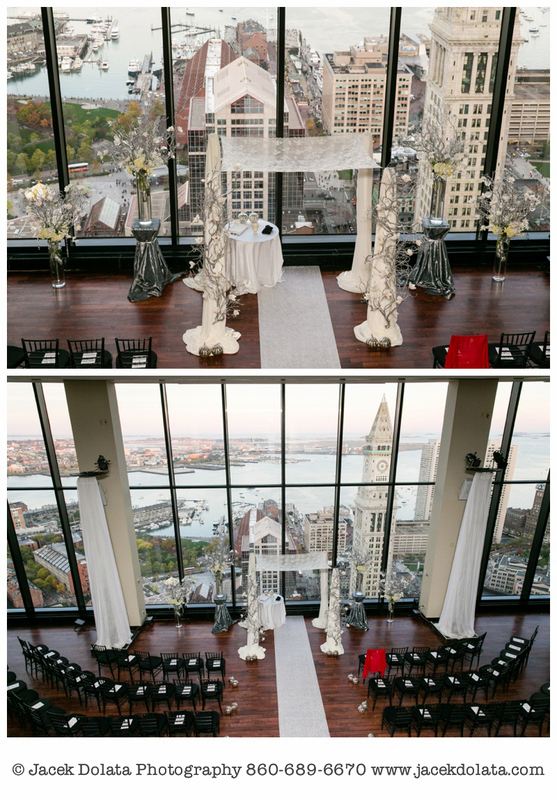 I photographed this wedding at The State Room downtown Boston, MA, on the roof top with the most beautiful view over entire North End. 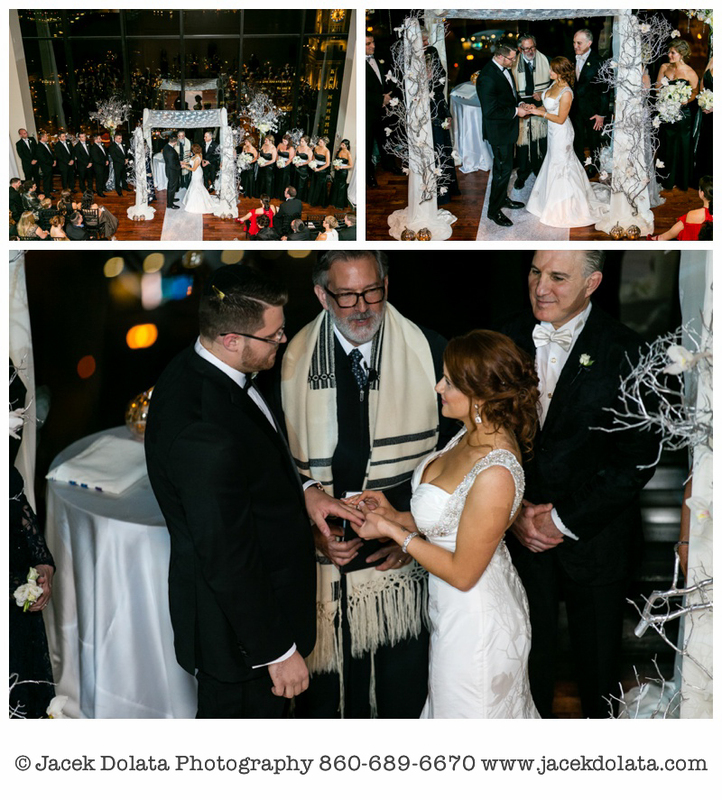 The wedding ceremony was Jewish and included signing the Ketubah. The bride and groom circled each other 7 times under the Chuppah. There was also the blessing of the wine and of course the ring exchange. 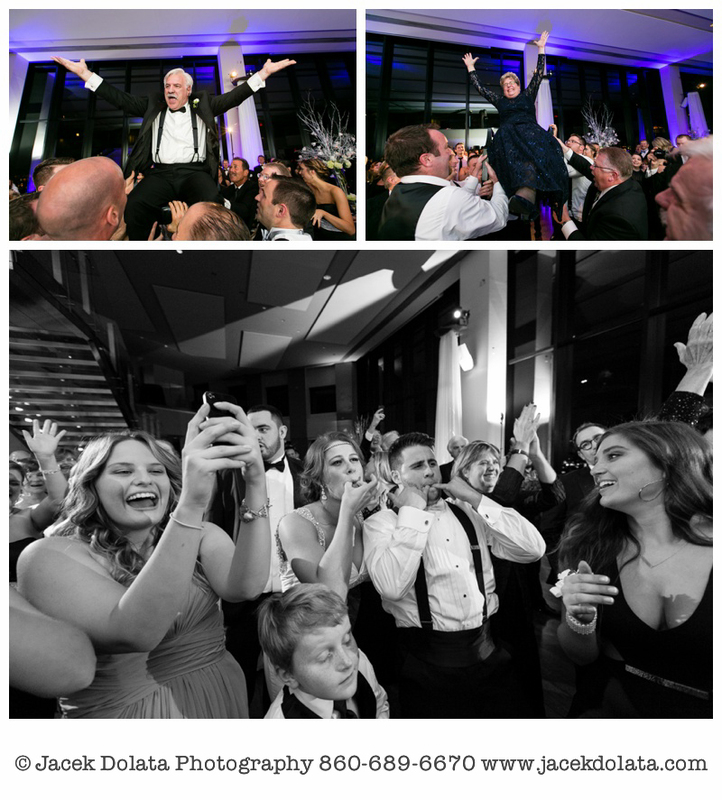 The groom crashed the glass with a big jump after the Rabbi pronounced them husband and wife. After cocktail hours the guests were invited to sit by the tables which were decorated with a 3D scan of the bride's head and beautiful flowers in fall colors. The couple had their first dance as husband and wife and right after they went on the chairs for the big hoorah with their parents. The family members cut the Challah and blessed the wine and the festivities began: toasts, father-daughter and mother-son dances and the cake. The wedding cake decorations were spectacular skeletons of the bride and the groom. 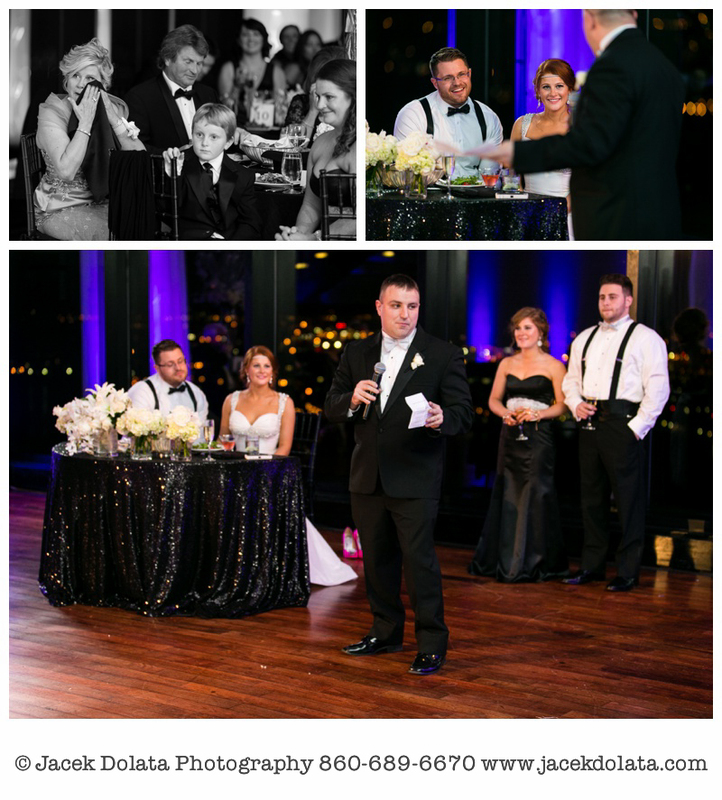 The reception was full dancing people on the floor and the view at the Boston at night was just breathtaking. For any couple getting married in Boston I would highly recommend The State Room. The facility is amazing; the food was excellent, the staff were friendly and always smiling, and the spectacular view is unbeatable. 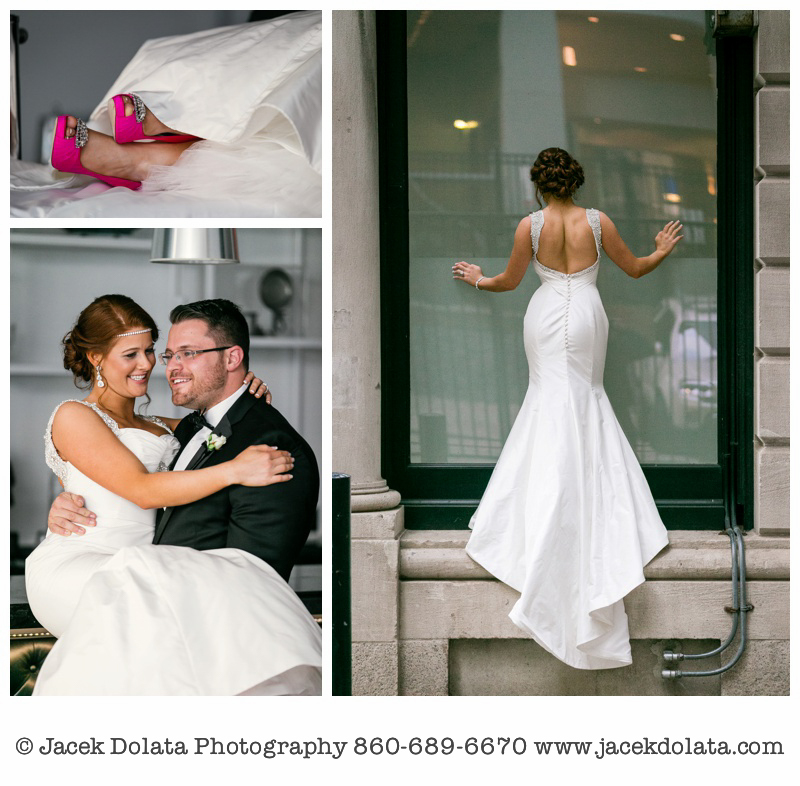 Jacek Dolata is Documentary Photojournalistic Professional Wedding Photographer based in central Connecticut serving Boston MA, Newport RI, Portsmouth NH, Hartford CT , NYC, Hudson Valley NY and New Jersey. Merynda and Andrew tied the knot during the most beautiful time of the year in New England. The fall in Connecticut was at its peak and we all were surrounded by the vibrant colors, which Mother Nature gave us for their very special day.